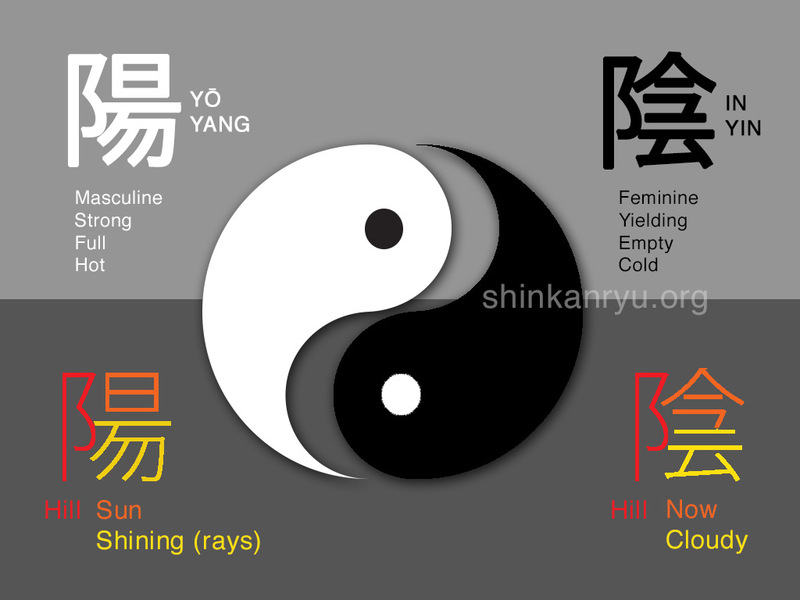 I wanted to talk about IN-YŌ 陰陽, or more commonly known as yin & yang. The concepts of yielding and solid, soft and strong, dark and light, cold and warm. During my walk the other day I had some thoughts pop up about the complementary forces of IN-YŌ and pursuit of bujutsu education. I figured that I would put them down here today. What do you see when you look out on this scenery? 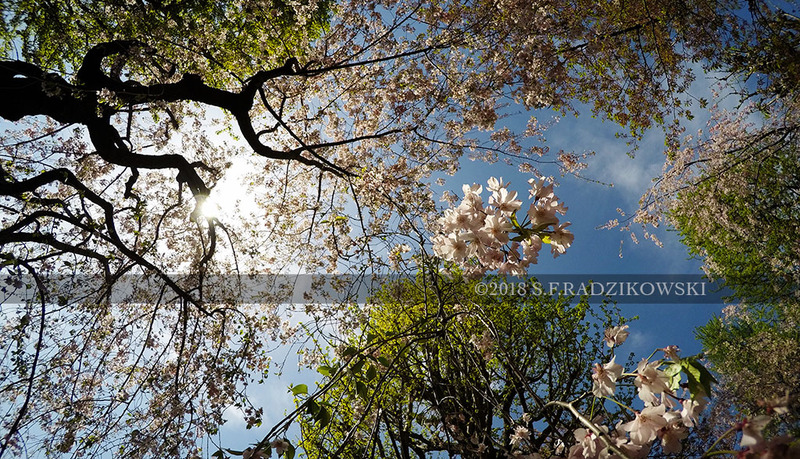 The scene above also represents our swordsmanship. Our mind, daily life. Basically our whole lives. Everything. The forest there; how does it relate to our swordsmanship? It connects our practice to the In-yo model for how everything works. Everyone is probably familiar with the symbol. IN 陰 in Japanese, Yin in Chinese. It is the negative, feminine, weak (yielding) force. Yō 陽 in Japanse, Yang in Chinese. Yō is representative of the positive, masculine and hard and strong and full. 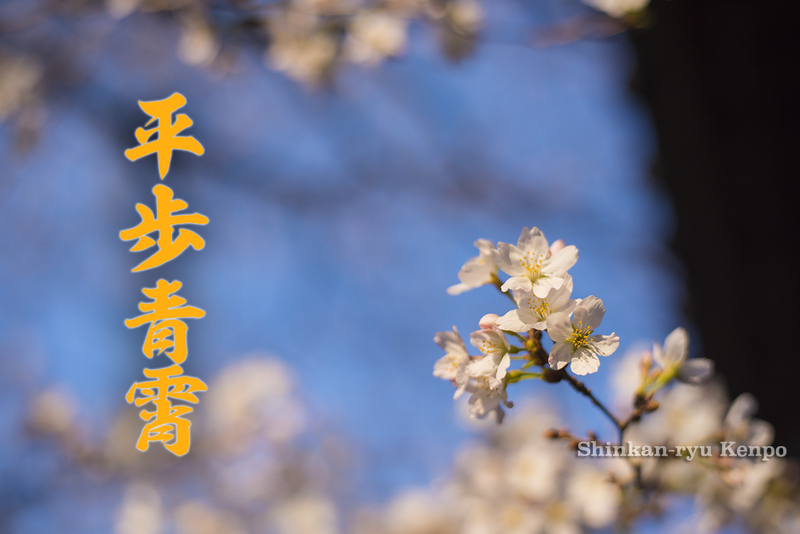 In 陰 literally means the side of the hill which is cloudy, thus dark. 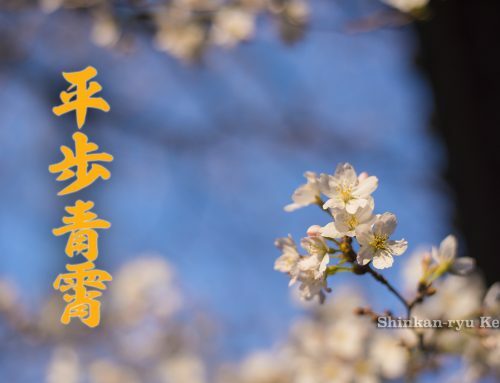 Yō 陽 means the side of the hill that is sunny or bright. You have these dualities, and within each one there exists a representation of the opposite energy, force, or element. There is nothing, for example, in and of itself strong and only strong, and nothing healthy that exhibits qualities of full IN or full YO. That is why you have the little dot or eye representing the opposite qualities. 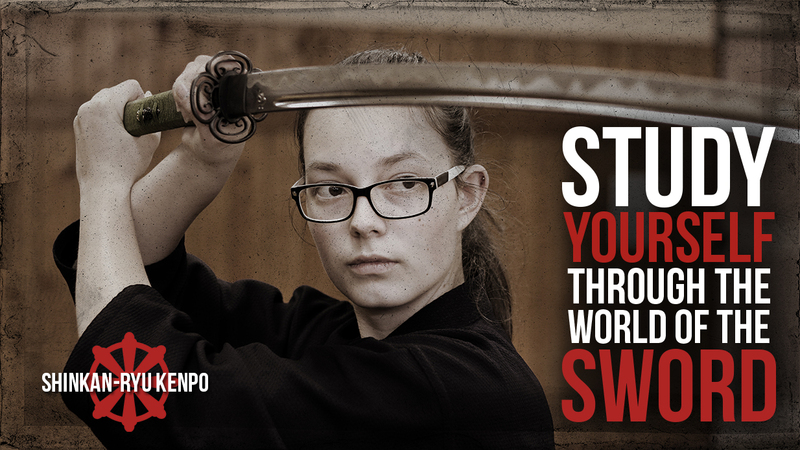 It's important to understand the concepts of IN & YŌ in swordsmanship (or any martial art). What there is a lot of in bujutsu is the idea of gross technique. "Ok, this is my technique. I do this, then I back up and do this strike. " What are you doing when you do that and what is happening? What is below the technique, or inside the method in your bujutsu? Like Prego Sauce, It's In There. If you're not looking at your movements with any depth, then you're not going to understand what you're doing thoroughly. There are some pure physical, kinetic, structural things going on. The technique is a building, but what are the postures and techniques made of? It is easy in the beginning to point at something and say this is IN or this is YŌ. He is striking me, and that is YŌ; therefore I must use IN to counter that. That's superficial thinking. There are many more levels of that existing. How you usually develop the yin and yang idea naturally happens while developing the response to the incoming or applied energy is through practice and generating a concentrated state of mind. You need to develop the ability to react. You need to gain an instinctual ability to read energies. I don't mean that in one way. You want to be able to read the energies whether it's tangible or intangible. If you want to know what's happening you need to understand it. That seems like commons sense, doesn't it? We can not do that through solely the intellect. We don't have time during swordsmanship to think deeply about what is happening. I discuss this more in my essay on mushin. 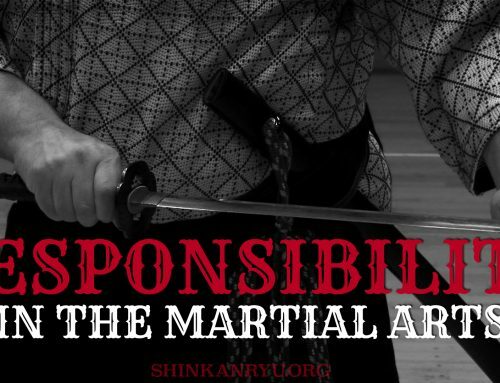 The more profound ideas of swordsmanship, kannen, and mushin are essential. The mind that is not weighed down by fetters of the worldly states. Not being anchored in by fear, anger, hatred, ignorance, hesitation, doubt. The lust for sensual desires. A mind free from that. 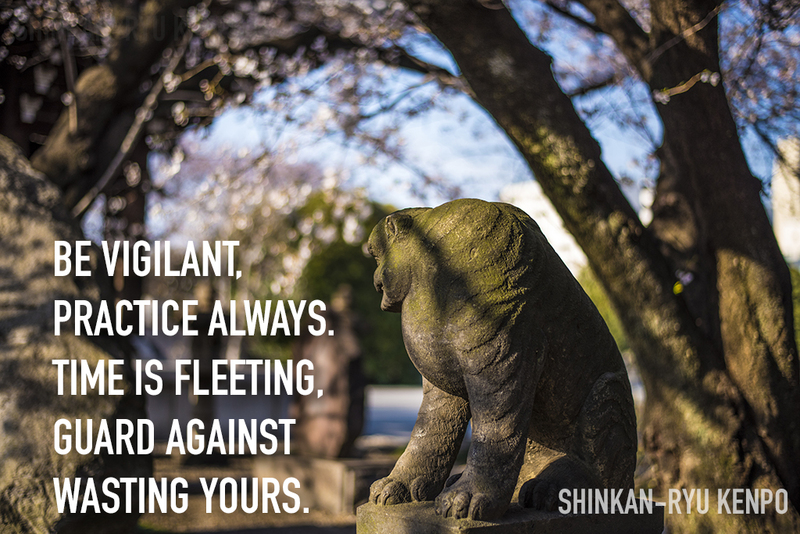 The balance that is IN-YŌ is important. This balance also with ourselves and the world. The balance of our body and sword. With our own internal world (mind) is essential too. How all of these interrelates with the opponent is necessary to understand. Real swordsmanship is not about technique only. It's like a skyscraper with 100 floors. You're just taking the elevator to the 12th floor. That's how far the techniques take you. Being a sound technician is not the pinnacle of swordsmanship. It is, however, a necessary foundation to build upon. There are higher points to travel to. We should be aspiring to that. This ties into trying to make ourselves into better people. In turn, freeing the mind so that we can bring our swordsmanship up to a higher level. 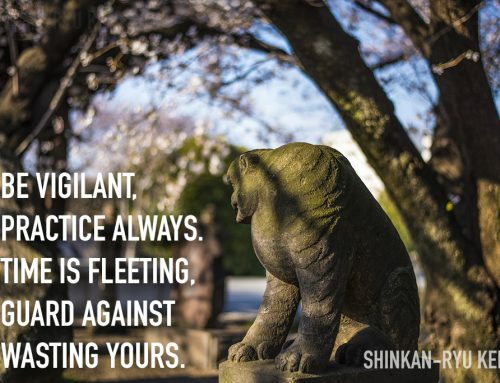 This, of course, applies to all martial arts. This idea is difficult. 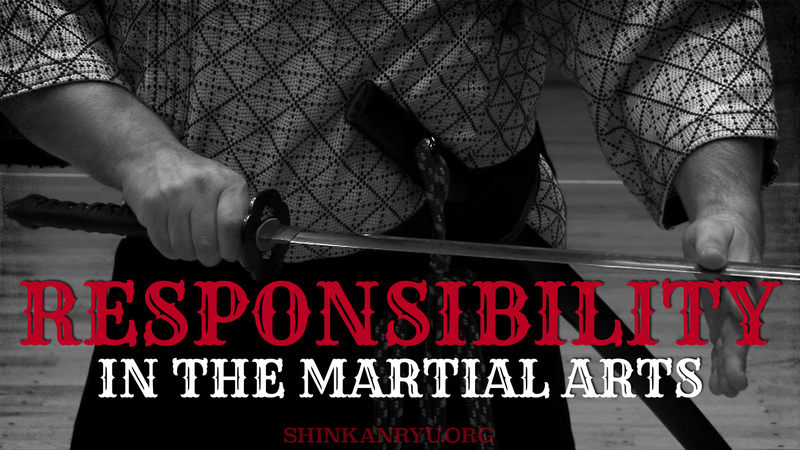 Hundreds of years ago the swordsmanship teachers were admonishing students about these ideas. Not just in the mid to late Edo period as many people seem to think but even further back. Some people want to preach about samurai being bloodthirsty head taking war machines. That is a rather ignorant and silly generalization. 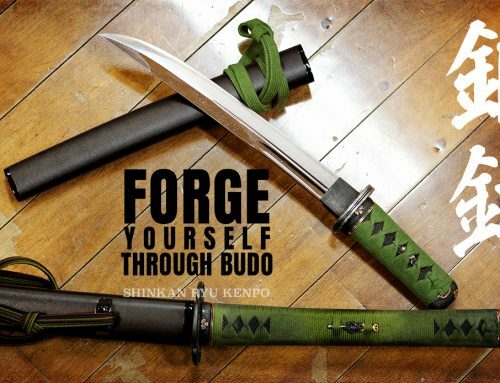 Really understanding that the true pinnacle of swordsmanship and bujutsu comes from the freeing of the mind and proper investigation of IN & YŌ. Not just the bare bones mushin state of muscle memory for example. It goes far beyond that. If you're stuck in that point where you think its just muscle memory, then you will be stuck there. Literally. How do we begin to investigate this notion of IN and YŌ in our forms? 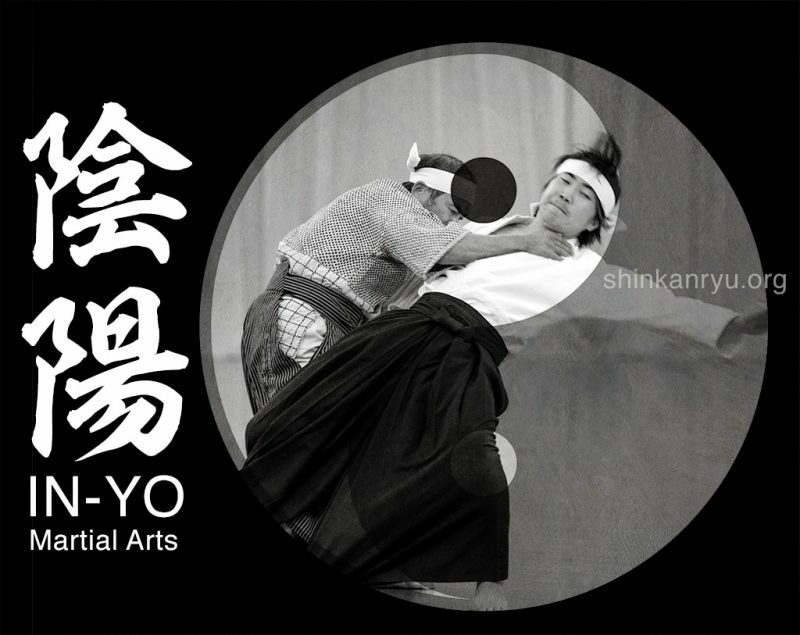 You first need a clear understanding of the mechanics of IN-YŌ. For example, Tai Chi Chuan is perfect for this as it forces you to go slow. 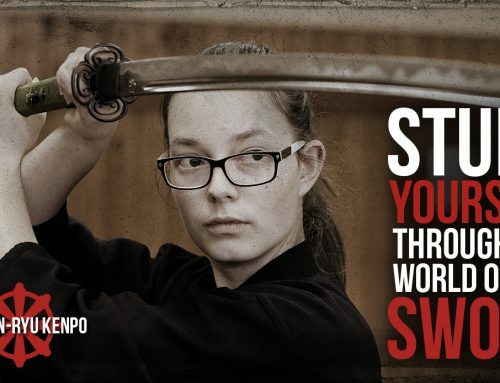 In swordsmanship, everyone is racing to get to this point of speed. They want to have this speed and are hell-bent to get to this endpoint of, hey I can hit it quicker than you can! That's not what you should be racing towards. You should be slowly walking to the point of being able to understand the actual waza and see the gears that are moving to make it work. Break things down a bit after you have learned the movement patterns. The body, without martial arts, already has all of these IN-YŌ components. Breathing is IN-YŌ. Our physical matter is IN-YŌ. Even the atom is IN-YŌ. You have meridians, Lines in the body. And there are intersections where the lines cross. Energetically and physically. Example of a few energetic and physical intersections of the body where tissues are perpendicular. You have bones and muscles. This muscle moves this and that way, and the bones as well. When you move a muscle which is IN you also have another group that needs to stretch which is YŌ. Bicep flexes, triceps stretch (relax). You also have the idea of the contractile field that is formed from when we are embryonic disks. When our embryo is forming these fields get set up. You have all this stuff going on. What are you looking at inside all of these levels and layers? What are you focusing on? Are you only focusing on the sword and what it hits? How about focusing on your feet? is there time spent thoroughly investigating what you are doing? When you stop and think about it, you might think that it is exhausting to look at something in so much detail. But would you argue that the details don't matter? In Japanese swordsmanship, there is the technique of cutting from a jodan (high position). This drop cut is sometimes called kiriotoshi. The movement seems like pure YŌ. Your sword comes down, bang, cleaving your target. What is yielding or empty or feminine about that? Isn't that kiriotoshi purely a YŌ action? There are a few points of IN and YŌ within the sword movement and the cycle of them moving together are also in the sword and body connection. 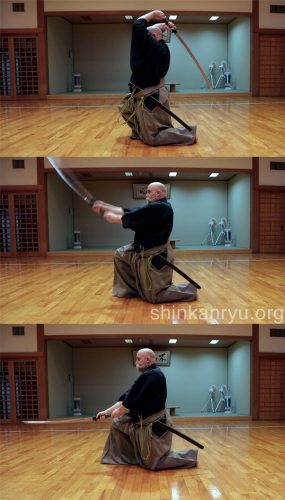 Two components of IN and two of YŌ in the physical nature of the sword swing exist. There is a set for the mind and body as well. When you start breaking things down, you can see the pieces that make up the whole. It's important to take the ideas of IN-YŌ and investigate them. Play in a useful way with them. See exactly how they are interconnected and how they work. Allowing the mind to be open and not existing on a single point. Having an open mind will enable you to observe better and watch how yin and yang function with all mental and physical factors inside and outside of you. 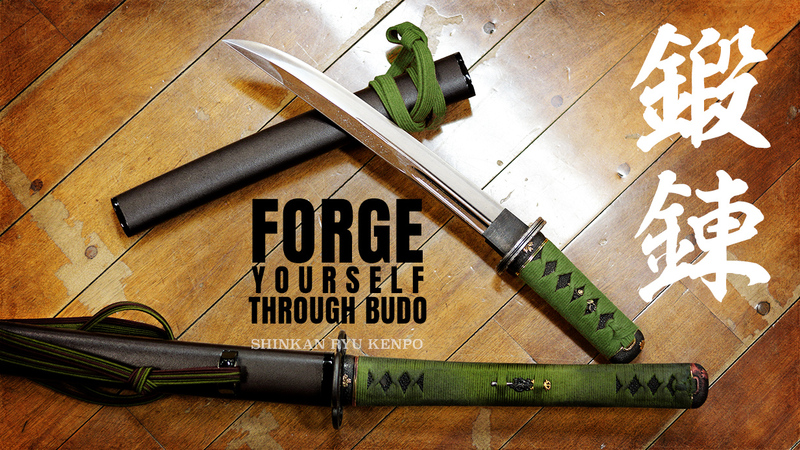 As you progress through practice it is essential to analyze the techniques and break them down within the scope of Inyō.